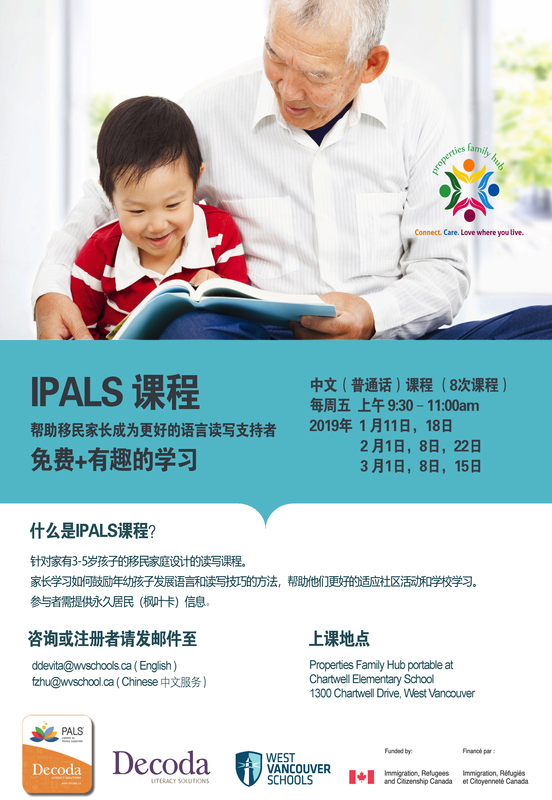 IPALS is a literacy program for immigrant families with children from 3-5 years old. Parents and caregivers learn strategies to encourage their young children to develop language and literacy skills to help them adapt to their community and prepare them for school. Please note that all participants must have a Permanent Resident Card to enroll in this free program. – 1300 Chartwell Drive, West Vancouver. Registration is limited, so please register as soon as possible to reserve your family’s place in the program.